Towing & Recovery Services Available, Dealership Transport, and other services offered! Give us a Call Today! What you want is fast, reliable, emergency Roadside Assistance for you and your family. Designed to fit your budget and help you when you really need it! Has your car been towed? Having your vehicle towed and impounded is unpleasant, regardless of the reason. We make sure that your vehicle is in a safe secure location, behind a locked fence. Landon’s Towing & Recovery is the 24/7 towing service in Hillsborough serving Local & Long Distance Towing, Carrboro, Chapel Hill, Mebane, Durham, Cedar Grove and other areas of North Carolina. We are locally owned and operated. Dedicated to providing fast, honest and reliable towing services you can count on! 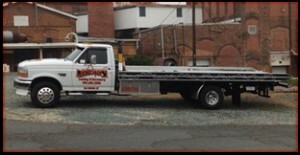 Towing & Recovery services 24/7! You can call or text us 24 hours a day, 7 days a week, 365 days a year – including nights, weekends and all holidays! We cover lockouts and tire changes, jump starts, fuel delivery, winch outs, and more! Our very professional, tow truck drivers will be there to help promptly and with a nice greeting and smile. We can help tow your vehicle anywhere you need to go day or night! We accept VISA, Discover, MasterCard and cash, and all of our drivers are very nice and can meet all of your needs to help you when you’re stranded. So next time you find yourself stranded on the side of the road, give Landon’s Towing a call or text at (919) 619-2105 and we will get you to a safe location in No TIME! 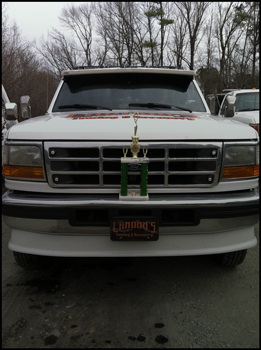 Landon’s Towing & Recovery, Inc., developed its towing operation from within the heart of Hillsborough, NC in the year 2012 as the rapid growth in the area and in the state created a larger opportunity to become a successful towing business. With a team of highly-skilled professionals, Landon’s Towing & Recovery has grown to become one of the loyal and highest quality tow operations in the town of Hillsborough, and greater North Carolina Region. 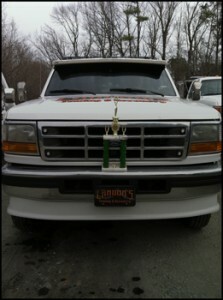 1st Place in North Carolina Towing and Recovery Professionals of NC, Inc.
Landon’s Towing strives to provide prompt, courteous, and professional service when you need us most. When you’re stranded, think of Landon’s!